Following the worldwide popularity of Train To Busan and the recent successful opening of Korean blockbuster film Rampant, it is no surprise that the Korean world of zombies are giving the Western walking dead a run for their money. 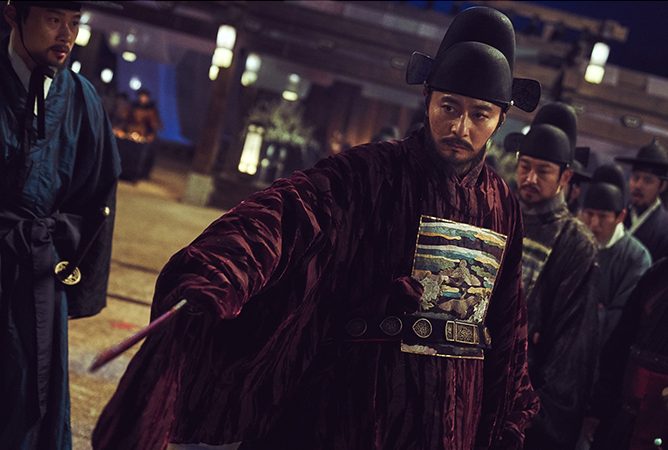 We caught up with Director Kim Sung Hoon alongside the gorgeous leading men, Hyun Bin and Jang Dong Gun, at the Rampant press conference in Singapore where they gave us five reasons why the historical film is a must-watch for zombie fanatics. #1 It’s the first Korean movie that combines historic drama with zombies. #2 Though they play rivals, the bromance between the two leads is the reason for their masterful performance. #3 Most of the stunts in the film are done by the actors themselves. #4 The costumes and outlooks of each character play a crucial part in the story. 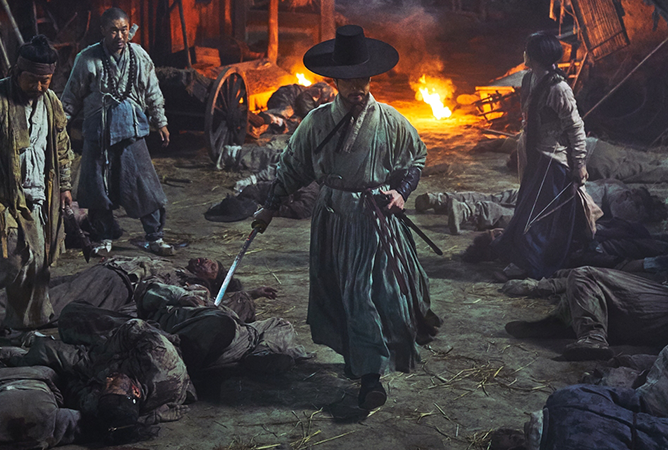 #5 Jang Dong Gun knows how to play the perfect antagonist. 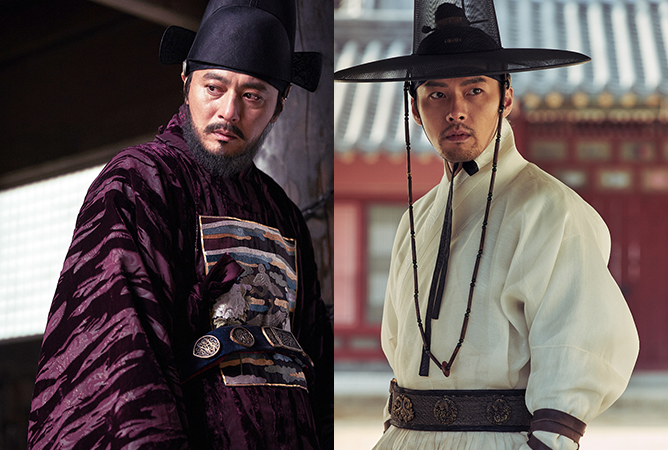 Catch Hyun Bin and Jang Dong Gun in Rampant, now showing in cinemas islandwide! 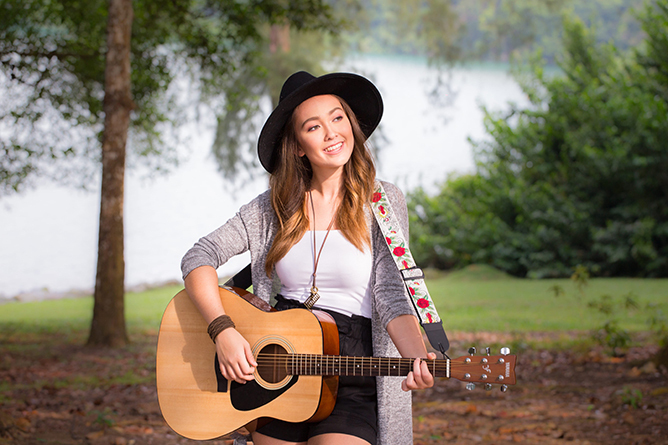 At 17, Irish-Filipino singer-songwriter AndreaH has achieved more than most people her age. Not only has she successfully carved out a burgeoning solo career for herself, the rising pop star has also supported The Script on tour and is currently opening for Sam Smith on the Southeast Asian dates of his The Thrill of It All Tour – and she’s only getting started. Armed with a guitar in hand and a genuine voice that resonates well beyond her years, AndreaH represents the new generation of young hopefuls who are set to dominate the future music scene. 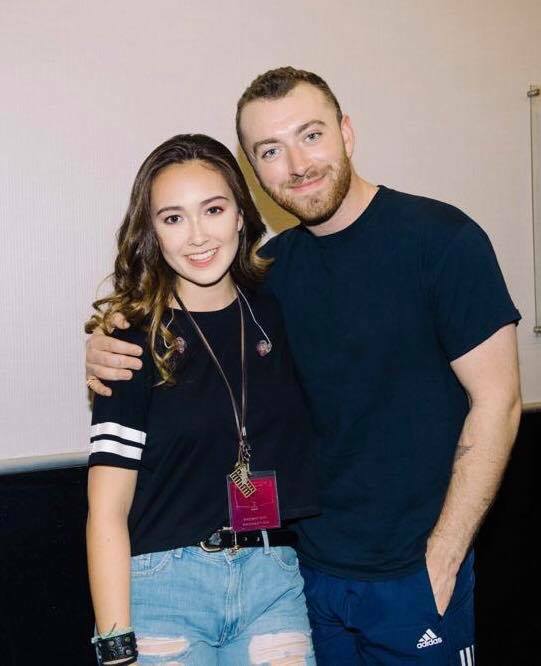 Fresh off the heels of her latest single ‘You’, we speak to the 17-year-old about her musical journey thus far, her experience touring with Sam Smith and more. Hi Andrea, congrats on the release of your new single ‘You’! What’s the inspiration behind the track? Well, many people think it’s about me and the guy I’m in love with, but this song is actually about my best friend and her boyfriend. I was really fascinated by this whole idea of love and being in love so I decided to write about it. ‘You’ has two meanings – one is about my best friend’s relationship with her boyfriend, and the second meaning is how I think being in love is like and what I think it’ll be like for me in the future. You’ve mentioned that each song you’ve written comes with a backstory. Which is the hardest to write for, and which do you find closest to your heart? I think the hardest song to write is also the closest to my heart, which is ‘Best Friend’. It’s a song dedicated to my best friend when she was leaving – she was the closest person I’ve ever had as a friend in my life and she really brought out the best in me. On her last day, I sang the song to her and we both started crying. Although it’s a happy song, it just makes me miss her more and more each day. How would you describe your brand of music to a first-time listener of AndreaH? Singer-songwriter vibes, and that everything is pure from the heart. For a teenage girl, hopefully my music is something they can relate to. You’re currently opening for Sam Smith – and that’s a huge deal! How’s the experience like touring with him? I feel honoured and privileged to get to open for the amazingly talented Sam Smith. Honestly, it’s an incredible experience that I will remember for the rest of my life. The feeling you get on stage is indescribable – not to mention that Sam is such a nice guy; he made me feel so welcomed which also made performing a lot easier. If you’ve ever had the chance to collaborate with any artiste, who would it be and why? There are so many artistes I’d love to collaborate with! But if I had to choose one, I’d say James Bay. His voice is so raw and unique, and he gives off such distinct singer-songwriter vibes — which is definitely something I aim to give off in my music. He also explores different sounds ad instruments in his new album, which shows just how versatile he is and his development as a musician. Stepping into the music industry at the young age of 17 isn’t an easy feat. What are some of the challenges you’ve had to face as an emerging artiste? I think the biggest challenge was not letting anyone change who you are and shape you into what they want you to be. It’s definitely hard to put your foot down as a 17-year-old, especially to people in the industry who are a lot older and wiser. However, I did learn – and fast – so I feel much stronger and happier now as I’m going down the route I know is best for me. How’s it like juggling school, touring and performing all at once, especially since you’re at the time when your music career is starting to take off? It’s definitely challenging. I’m doing a very difficult high school diploma, and the school suggests that you spend lots of time working rather than doing extra-curriculars as the workload is very demanding. But I made sure that I finished all my work way in advance before I went on tour. I don’t procrastinate at all, which is something that took me a while to achieve. By completing my work early, it allowed me to focus on my passion, which is music. I believe that opportunities come and go, so you have to grab them whilst you can. I’d never give up on this opportunity so I made sure I stayed on top with academics to prevent it from stressing me out. Who would you say are your biggest supporters throughout your journey? My friends and family. They are the ones who tell me to keep going when I want to give up, and they are the ones who have my back when times are tough. They want the best for me all the time, and they make sure to get rid of anything that is in my way of reaching my goals. Whether it’s giving me a long pep talk or sending me all the work I missed in class, they encourage me to be the best version of myself. What’s a piece of advice you’d like to give young, aspiring singers who wish to pursue a career in music just like you? Don’t let anyone be the judge of you and your music. If you’re happy with yourself as a musician and what you’ve created, that is all that matters. Also, definitely work hard and show your passion for music; hard work allows you to get things done and passion makes sure that everything you do in music is to your best ability. Lastly, what are your upcoming plans in 2019? I graduate in May next year, so I hope that I can possibly tour as soon as I finish school. I’m also planning on releasing an EP around June and I’ll make sure to keep everyone posted! To those who’s been following me on this journey, thank you for all the love and support. I wouldn’t be able to do what I love doing without you all. AndreaH’s latest single ‘You’ is now available for streaming and purchase. BLACKPINK's Coming To Your Area For Their 2019 World Tour! 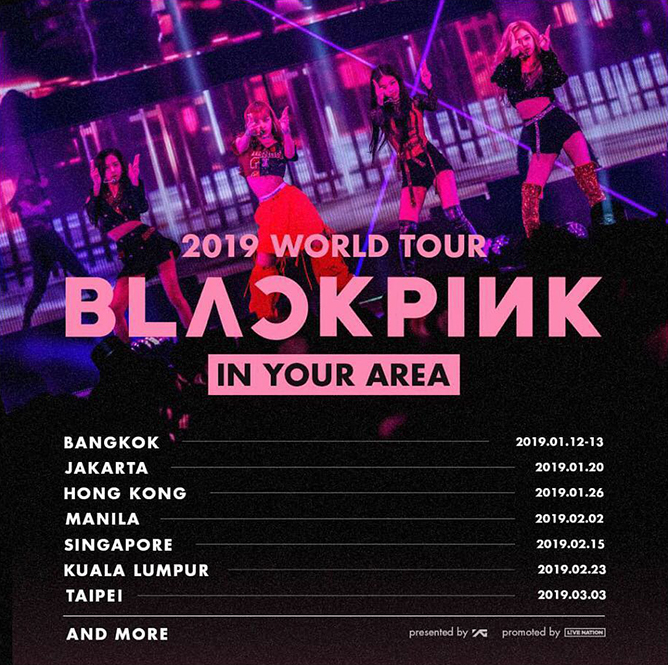 SG BLINKs alert: K-pop girl group BLACKPINK will be coming to town for their 2019 World Tour “In Your Area”! It seems like 2019 is already off to a great start, with several huge concerts from the likes of BTS, Maroon 5 and Ed Sheeran to look out for. Well, here’s another killer show to add to your list ’cause YG darlings BLACKPINK just announced that they will be making their way to Singapore on 15 February 2019 for their upcoming world tour! Aside from Singapore, the quartet will also be heading to other Asian cities including Bangkok, Jakarta, Hong Kong, Manila, Kuala Lumpur and Taipei. Tickets will go on sale 20 December (Thursday), 10am via www.sportshub.com.sg. Live Nation members can purchase tickets ahead of public sales from 19 December (Wednesday), 10am till 11.59pm. More details can be found on www.livenation.sg. Goodluck, BLINKs! Thrillingly spooky and filled with dark humour, The Chilling Adventures of Sabrina has surpassed the Sabrina Spellman of yesteryear to bring you a new and bewitchingly relevant teenage witch in her iconic red coat – and she’s undeniably woke AF. The Chilling Adventures of Sabrina follows Sabrina Spellman, who has to choose between her mortal and witch life on her 16th birthday. Being half-mortal and half-witch, she is given the chance to either embrace her powers on the path of Night or forsake them for the path of Light. However, instead of choosing either paths, Sabrina decides to create her own path where she navigates the life and temptations from both sides. Whether you’re a longtime Sabrina The Teenage Witch fan or entirely new to Greendale, it wouldn’t take you long to get completely enthralled with the series and its colourful ensemble of characters. Unlike its beloved ’90s counterpart, the new Netflix reboot is soaked in mystery, horror and all things witchcraft. Although the title of the series may be a tell-tale sign of what’s to come, The Chilling Adventures of Sabrina serves up more than just the chills. And, she was not wrong. The masterful and well-paced storytelling was intricately weaved with intense scenes like Sabrina’s initiation into the Academy of Unseen Arts, as well as character development that was both subtle and impactful; especially with the introduction of Susie Putnam. Instead of blatantly explaining to viewers why she was being bullied at school, the story leaves room for the audience to figure it out on their own, through tactful and mature dialogue between characters. 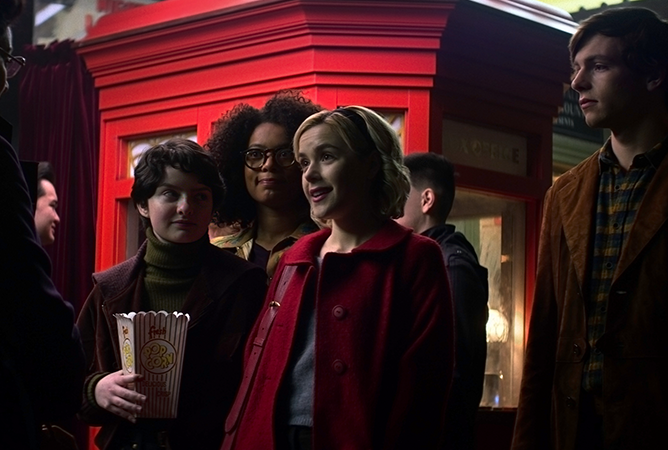 All in all, The Chilling Adventures of Sabrina is a spellbinding thrill ride steeped in youth empowerment that is eerily relatable and befitting of a binge on Halloween night. Catch all episodes of The Chilling Adventures of Sabrina on Netflix now! It’s about two weeks until we journey back to the Wizarding World and join Newt Scamander on his exciting new adventure as he takes on the next big wizarding threat, Gellert Grindelwald. Before we dive into what we can expect in the sequel, let’s recap on what has happened thus far. We know that Newt Scamander left New York City on a good note after rounding up all of his magical creatures and helping MACUSA expose Percival Graves as the real Gellert Grindelwald. This year, the highly-anticipated follow-up will continue from where the 2016 Fantastic Beasts and Where to Find Them left us, as Newt reunites with new and old friends that include characters we know and love from the Harry Potter franchise. So, what exciting things will Fantastic Beasts: The Crimes of Grindelwald have in store for us? Calling all potterheads! In collaboration with Singapore Polytechnic, we are inviting O’Level students to catch the exclusive movie premiere of Fantastic Beasts: The Crimes of Grindelwald. Simply register here to secure your spot, limited to the first 100 students only. #1 There’s more than one Scamander! You may have heard his name being mentioned in the first film as a famous war hero when Representatives of the International Confederation of Wizards recognised Newt’s surname. 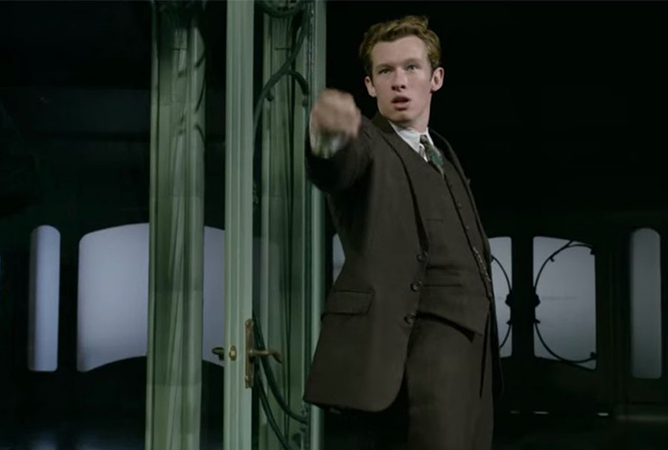 A celebrated war hero, former auror and Newt’s older sibling, Theseus Scamander is assigned by the Ministry of Magic to assist Newt in capturing Gellert Grindelwald. Though the brothers have a pretty close relationship, they are both in love with Theseus’ fiancée Leta Lestrange, which makes for a rather awkward reunion… Uh-oh! 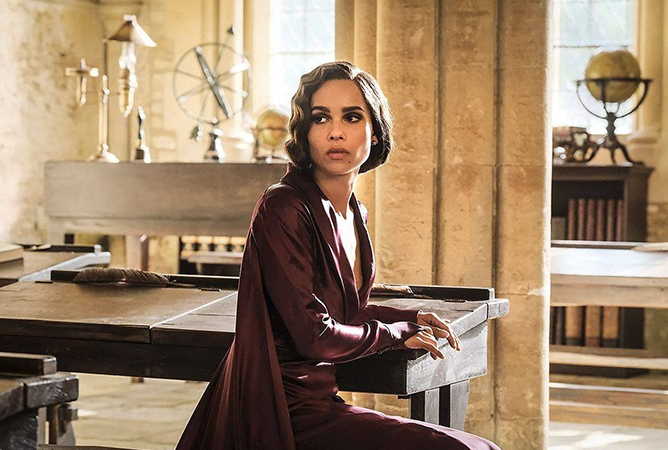 Aside from knowing that she’s the girl who has the Scamander brothers enthralled and that she has the same surname as the horrendous Bellatrix Lestrange from Harry Potter, not much else is known about Leta Lestrange. However, in this sequel, we will find out more about her pure-blood lineage that categorises her as part of the Sacred Twenty-Eight as well as her familial ties to Credence Barebone. Before he was the beloved Hogwarts Headmaster, Albus Dumbledore was a young professor who taught Transfiguration at Hogwarts. It is there where he develops a strong bond with his student, Newt Scamander, whom he enlists to help take down Grindelwald in the second Fantastic Beasts installment. 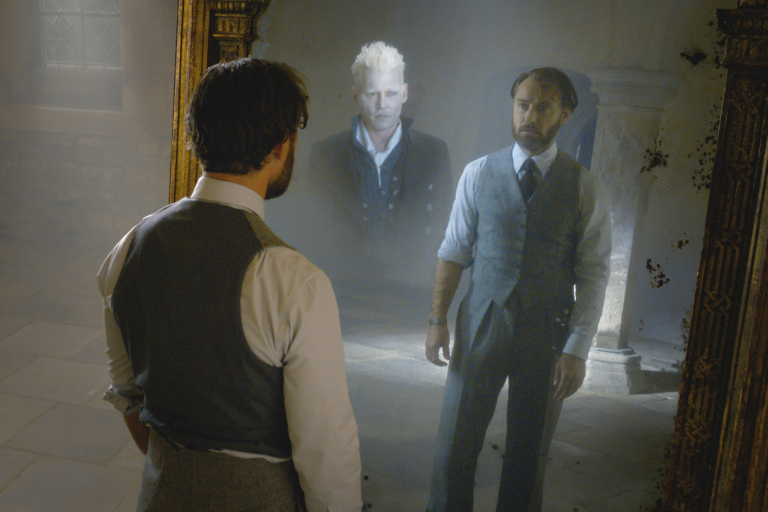 Don’t worry if you’re not privy to the relationship between Dumbledore and Grindelwald, as this sequel will give you a more in-depth look into their lives. If you loved the magical creatures you met in the first film, get ready to meet more visually stunning beasts in the upcoming sequel. 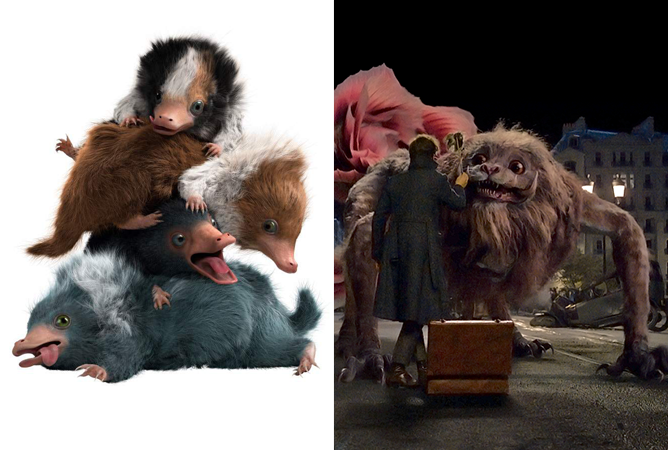 Returning favourites Pickett the Bowtruckle and the Niffler, will appear alongside new cuddly baby Nifflers as well as the terrifying ancient Chinese mythological creature, Zouwu. Don’t forget to keep an eye out for a fluffy bird known as the Augurey, which is a featured creature in Harry Potter and the Cursed Child! Now that the snake is out of the bag, we can expect more details about Voldemort’s trusty horcrux and sidekick, Nagini. Contrary to many beliefs that Nagini is an Animagus, she does not have the luxury to change whenever she wishes as Nagini suffers from a blood curse which would turn her into a beast permanently. It should be noted that not all Maledictus are evil so keep your reservations about her till the end! 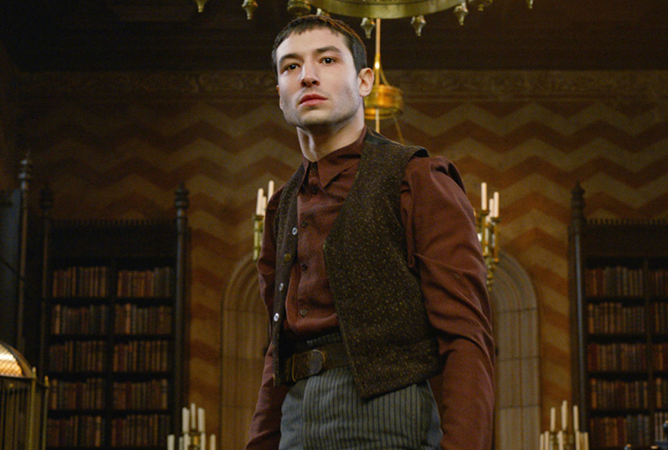 We last saw Credence Barebone get attacked with deadly spells and basically destroyed as an Obscurus, thanks to Seraphina Picquery and her aurors from MACUSA. But depending on how observant you were, there was actually a single shred of his Obscurus that managed to escape – which would result in how Credence is alive and well in this sequel. The second film will also see the growth of Credence’s character as he befriends Nagini and goes on a quest to uncover his true identity. Fantastic Beasts: The Crimes of Grindelwald opens in cinemas on 16 November 2018.